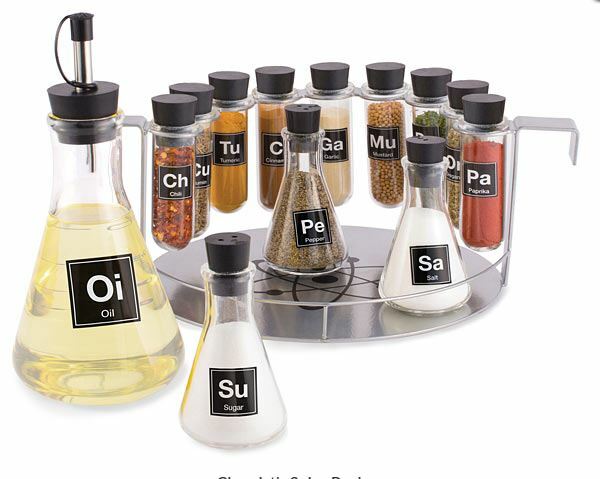 The spice chemistry kitchen spice set is a cool novelty spice storage idea for your kitchen. Cooking is a bit like chemistry because it relies on chemical reactions and getting the mix right. If you are someone who sees the kitchen as your own private food laboratory then you will love these. You will find that these do not just look cool because they are very useful too. 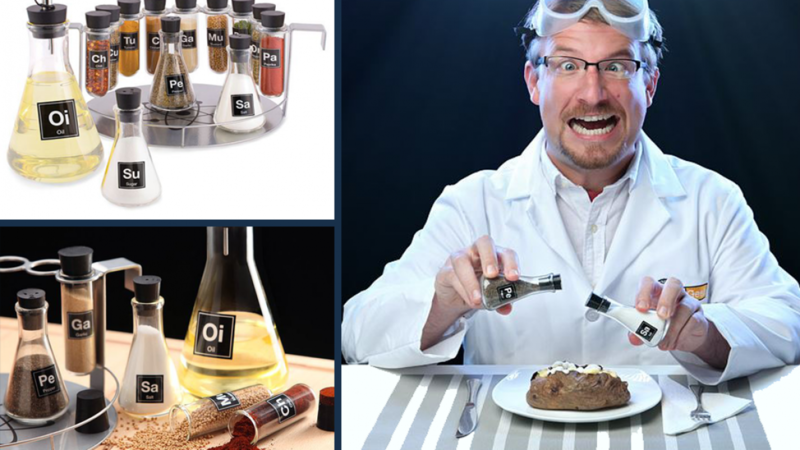 If you know someone who love to cook then this set is perfect because it is a cool gift idea. This is a very cool and convenient way of storing your spices because the jars fit neatly into the holder. You will love this because it means no more hunting through the pantry trying to locate tiny spice jars. Spice jars often get lost among other pantry items because of their size. If you are a super organised person this may not be an issue for you. But if your pantry organisation skills are not as great as you wish they were then you will benefit by being able to find your spices easily. This spice set is a cool gift idea for occasions such as housewarmings, Christmas, birthdays, weddings, kitchen teas and more. If you like this cool kitchen idea you may also enjoy checking out the following.